Adrenal fatigue is a common symptom of the menopause. It makes women feel deeply exhausted even though they haven’t done a great deal of physical activity. If not dealt with properly, can worsen and greatly impact on your day-to-day life. Progesterone hormone affects the part of the brain that causes a woman to feel sleepy, as progesterone levels drop, there is difficulty falling asleep. This may manifest as insomnia which can lead to fatigue during the daytime. Progesterone regulates sleep induction. With the steep drop in progesterone levels that occurs between 35-50, insomnia or other sleep disturbances are reported as a consequence. Figs, Beets, Leafy greens, Almonds, Dates, Parsley …..all beneficial in fighting fatigue, these foods have been shown to balance blood pH levels and boost energy. 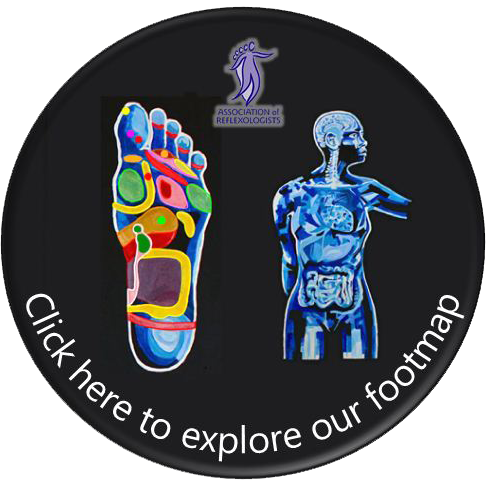 Regular Reflexology treatments can aid balance of hormones and can help with your journey through the menopause. If you would like to know more about how this may help you personally, please contact Maria who will be happy to answer any questions. This time of year there are so many coughs, colds and bugs going around. I’m always in favour of a natural remedy as opposed to over the counter ones. As they say, “nature has all we need”, and our body will thank us for it. In a jar, combine lemon slices, organic honey and sliced ginger. Close jar and put it in the fridge, it will form into a “jelly”. To serve: Spoon jelly into mug and pour boiling water over it. Store in fridge 2-3 months. If you have ongoing illness or feel run down, Reflexology may be beneficial to assist in the effectiveness of the immune system by improving circulation of lymph around the body, detoxing the system, reducing stress and re-balancing. Beat the Winter Blues treatment is back!